As a system administrator you are always fighting the battle to keep the C:\ drive as clean as possible, which at times can be a job in itself. In this post we will discuss a few places where you can get a few more MB or GB from the drive. 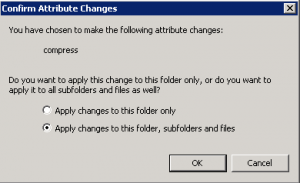 These tricks apply on Windows 2003, 2008, 2008 R2, 2012 and 2012 R2. You can gain about half the space used by this folder by compressing it. First we need to unhide the folder then compress it. 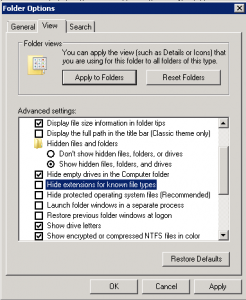 Click on the C:\Windows folder and click Organize> Folder and search options. Apply and Apply to All Folders. Now let’s compress the folder. 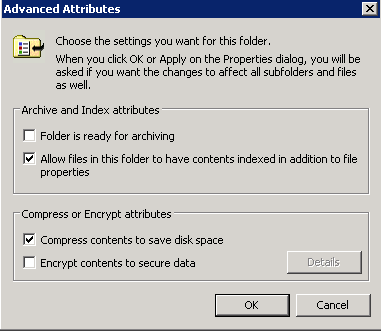 Apply for all files and folder. You may receive a popup. 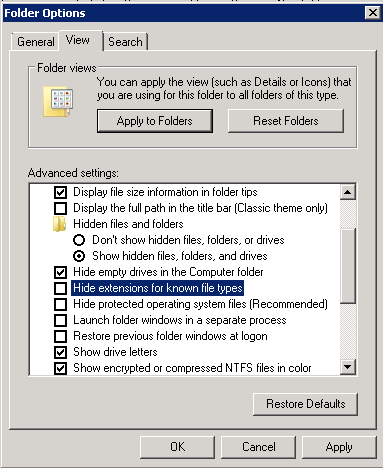 Note: After done make sure to go back and re-check Hide Protected operating system files (Recommended). This cleanup has been covered in a previous post found here. This is another topic that has been discussed in a previous post also referred to as disappearing space. This is usually caused by Volume Shadow Storage space and is easily rectified by defining how much space can be used by a drive for Shadow Storage. The IIS logs are notorious for silently filling up the C:\ drive on systems. You can delete them manually or from a command line. This command line example shows how to delete files ending in .log that are older than 14 days and the /s switch allows it to handle sub-directories. forfiles /p %SYSTEMROOT%\system32\LogFiles /s /m *.log /d -14 /c "cmd /c del @file"
As with Windows 2003 example the same goes for Windows 2008 R2 and 2012 R2, only difference is the log file location is changed to C:\inetpub\logs . You can delete them manually or use the command line. forfiles /p C:\inetpub\logs /s /m *.log /d -14 /c "cmd /c del @file"
There are several places where you can reclaim some space in c:\windows\temp directory. The following list is some of the files that can be deleted safely, there are always more. You can also ad many to a script and run as a scheduled task. Any Microsoft* directories (Usually Microsoft Visual C++ and others similar in name. Want to do it from the command line, Here you go. this example shows 0 days and no sub-directories. This is the directory that gets the most questions which also leads to the most disappointment. 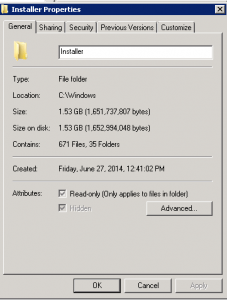 You can recover space from this directory by using Disk Cleanup tool. To use it you must have the Windows Desktop Experience installed. 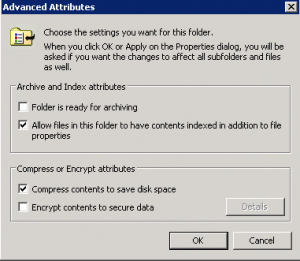 Refer to this post on how to enable and use Disk Cleanup. 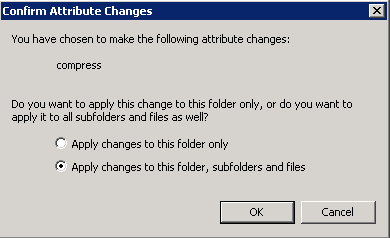 Another place to look for space is in old user profiles from long gone admins or users. These are easy to remove. Click the user profile that you want to delete, and then click Delete. Do not delete any service accounts or builtin accounts (Administrator, Guest). So let’s take this a bit farther and create a command script and run it as a scheduled task for some of the files and log it to the Application log so there is a record. Save the script as Cleanup.cmd or what name you desire. and now to add it to run nightly. In this example we will run the script from the c:\scripts directory as SYSTEM at 4:15 am. 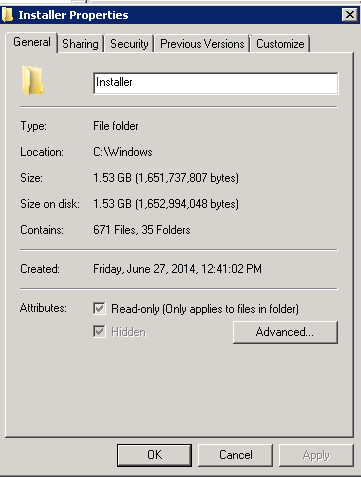 As you can see there are several places and ways to get more space available on your C drive in Windows.